It was with great sadness that I and many others learned this week of the end-of-year closing of the classic neighborhood Brooklyn bookstore, BookCourt, which has been a neighborhood staple for 35 years. Even The New Yorker payed homage. I lived in Brooklyn not too far from the store for many years before I moved out of the city, and it was always such a warm, wonderful place to visit, shop, or attend a book event, reading or party. 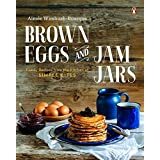 Last year, I went to see my client, Aimee Wimbush-Bourque, author of BROWN EGGS AND JAM JARS and the upcoming THE SIMPLE BITES KITCHEN, there during a winter snowstorm and it was the most cozy, intimate experience being inside that place surrounded by books while she read from the book and her kids ran around enjoying themselves too while outside it was a big, fat slushy mess. So it was such a happy story to learn that the author and Brooklynite Emma Straub and her husband are going to be opening up a bookstore in Brooklyn called Books Are Magic (how cute is that?). And also that they’ve received a ton of support for it from the community and others. Losing a neighborhood bookstore like BookCourt is like losing a member of your extended family. The neighborhood just won’t be the same without it. I don’t live in Brooklyn anymore, but I look forward to visiting Books Are Magic before too long. What’s your favorite local bookstore? I bet they catch heck for having a name so similar to Books a Million. It’s great to read something that’s both enjoyable and provides prdgiatmsac solutions.